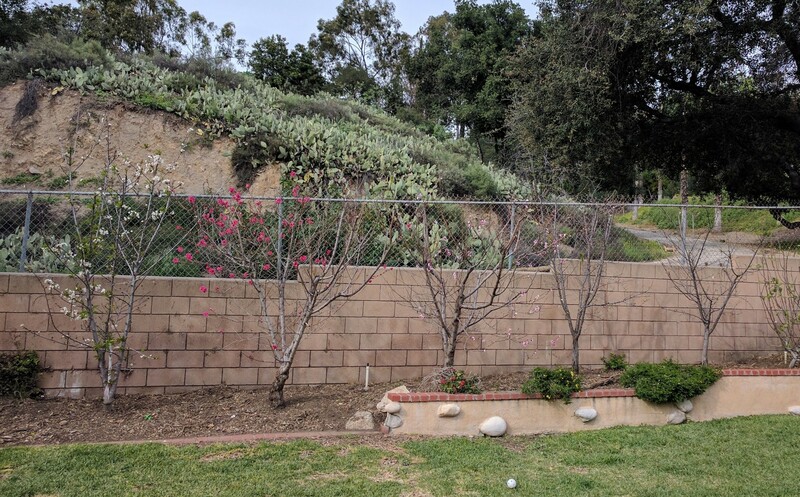 April is a dynamic time to talk about fruit trees — as they are all blooming and flushing — and this last week I did so as the monthly speaker for the Ocean Hills Garden Club in Oceanside. When allotted only an hour to cover “Growing fruit trees in Southern California,” only the vitals can be broached. But I did. I broached them. Need heat? If you live within a mile of the beach, some citrus and other fruits that ripen early in the year are unlikely to get as sweet as you hope. 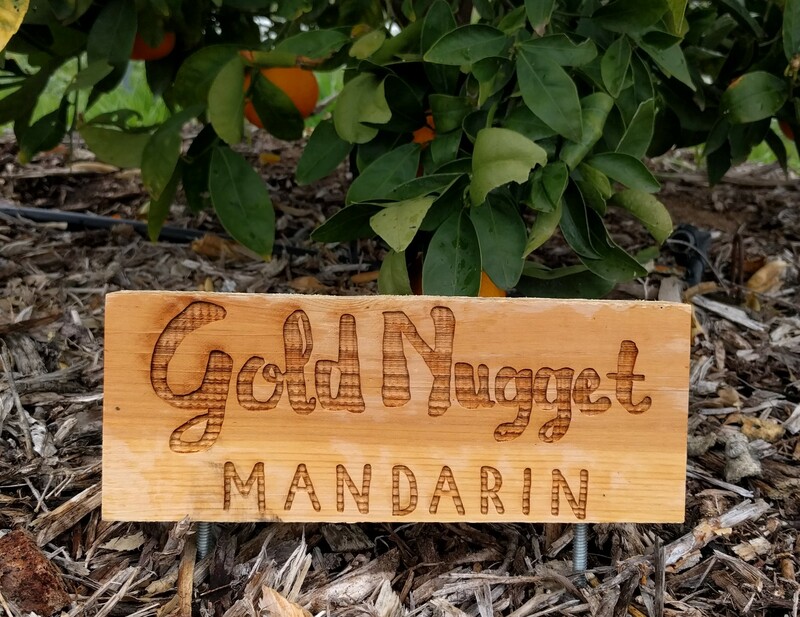 To increase the chances of sweet fruit, leave fruit on the tree longer or choose varieties that ripen later in spring or summer like the Valencia orange or Gold Nugget mandarin. Planted these trees eight feet apart in my mom’s backyard in 2011/2012. (Cherry, peach, nectarine, plum, pluot.) On their own they would be twenty feet tall, but we prune. Don’t plant below grade. 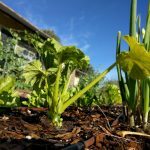 Always plant at or a few inches above the level of the surrounding soil. If the tree’s trunk is below grade, then water will collect there and make it vulnerable to crown-rotting diseases. Bigger containers are better. If you must grow in a container, then go big, like half-wine barrel ultimately. 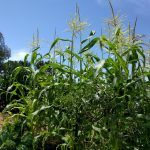 It means you’ll have to water and fertilize less often, and your tree will be healthier because of the bigger soil volume and root system. 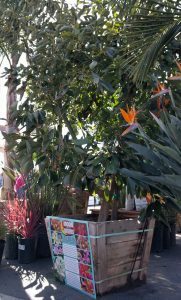 If you must, you can even fruit an avocado tree in a large container. This Hass has a handful. Soil is still too moist here to need irrigation. 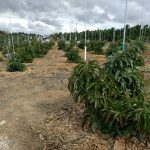 This mango isn’t given ideal watering or mulch, yet still looks great and fruits well without being fertilized. Rootstock sucker on cherry tree. When they’re small like this, just snap off with your fingers. 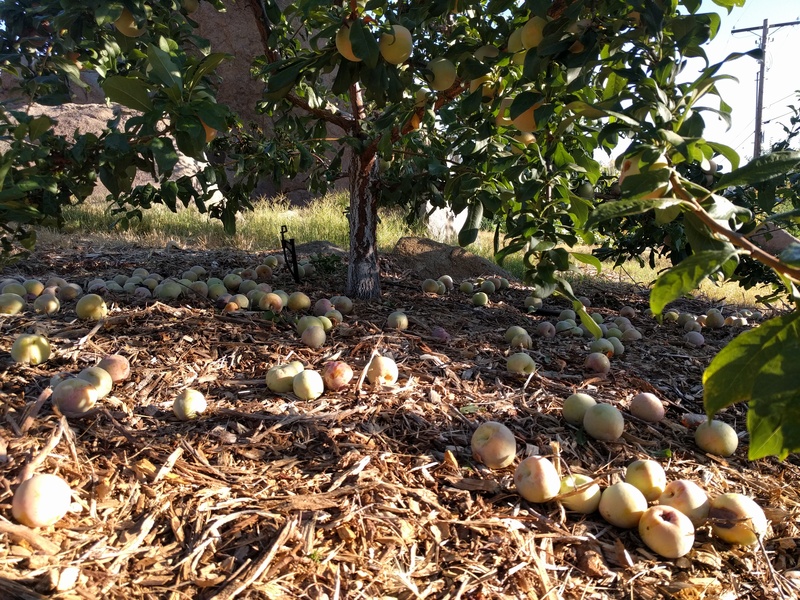 Fruit thinning is most needed on peaches and nectarines. It is rarely needed on citrus and avocado. Fruit thinned from Dapple Dandy pluot tree. Should have thinned them before they got this big, but better late than never. 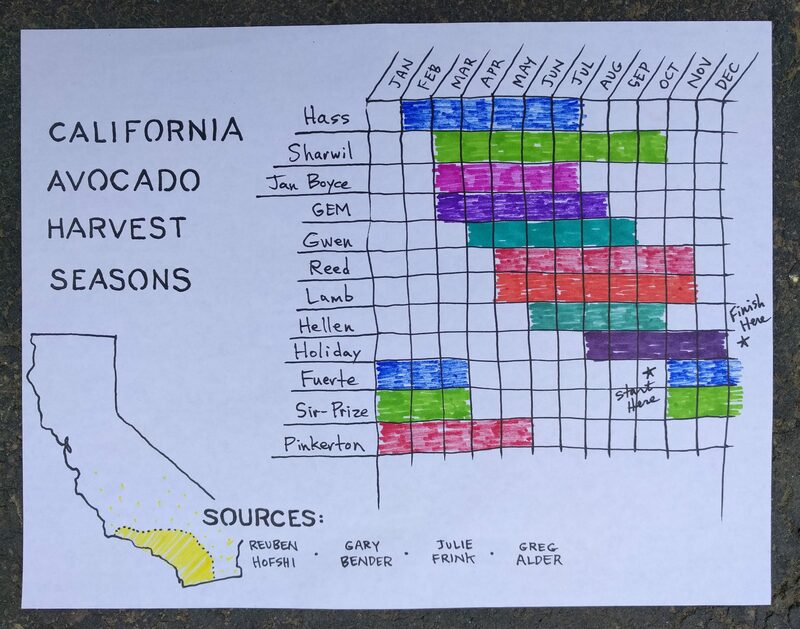 I drew this chart to help me remember the harvest seasons for some of the avocado varieties I grow in my yard. 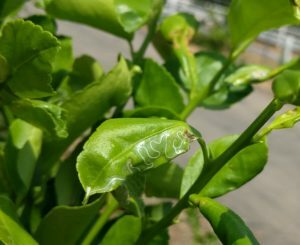 Citrus leafminer damage freaks many people out, but just leave it alone and natural enemies control it somewhat (although they don’t eradicate it). Really great post! You have answered a personal email from me and I really appreciated it! All your articles are keepers, especially this one. 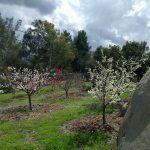 I am a new fruit tree mini-farmer – Anna’s Apple, Blenheim Apricot, Santa Rosa Plum and a Mandarin. I also have a Meyer Lemon in a big pot. 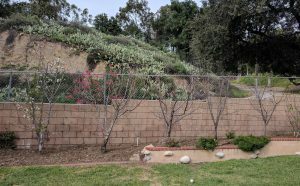 I successfully pruned the apricot and plum in February (their 3rd year). Taking all your advice in today’s article with much appreciation! Thank you, Judy. So good to hear feedback like this! Again thank you so much for your weekly posts. They have helped me to get informed and gain confidence. Your information is very practical. I do appreciate your attention to detail and above all the multiple links that provide extensive and detailed information about your advice. Now I expect your post every week. This weeks post is very informative. Thanks so much, Juan. Glad to hear that you appreciate the links because I sometimes wonder if I overdo them. 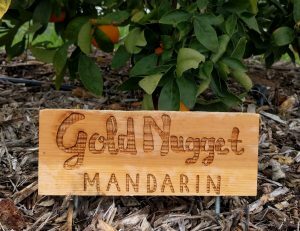 I am in the early stages of starting a business and recently decided to include limited species of fruit trees in the mix. Your site was incredibly helpful in providing good information! Keep up the good work! Thank you! I’m very grateful to hear this feedback, Amy. 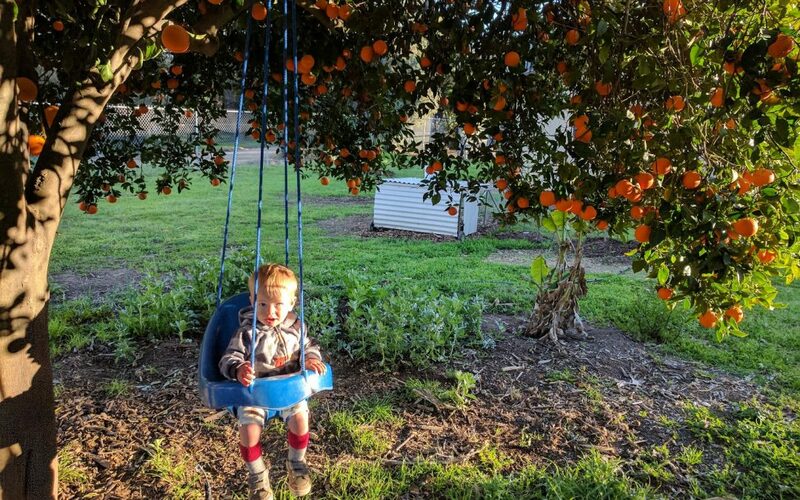 Good luck with the business, tell me more about it if you’re willing, and let me know if there are any other fruit-tree issues I can help with. Hi thanks for an informative article. I mov dninto anhouse that has a 20+ year old apple tree. It has a lot of “suckers” on top that have grown straight up. It’s now September in LA and starting to cool a little at night. Can I prune? Sure, you can prune an apple anytime. I lightly pruned my apples two weeks ago. This late in the year, you’ll likely get no regrowth until next spring. We have a dwarf apple tree on a container and recently noticed “baby apple trees” growing at the base. I thought that was exciting but now I’m worried they’re suckers. Do I just pull anything new growing at the base? Or will they grow into healthy apple trees? Those sound like rootstock suckers so you should remove them. They will probably be very healthy, but they won’t make the fruit that you want, and they will grow taller, shade, and eventually kill your original tree. Any chance an avocado tree will survive and bear fruit in La Quinta? The zone, is it 13?, suggests no, but I would really really like to have an avocado tree. Thoughts? I haven’t seen avocado trees in the Coachella Valley personally, but I’ve read of avocados surviving there, especially if given some shade. Apparently, some have grown them in the shade of date palms. Avocados fruiting well is another issue since high heat kills avocado pollen. If the spring heats up too much too early, you won’t get any pollination. One of these days I’m going to visit the area in search of the avocado trees I’ve heard of there. If you know of any, please tell me. Hi Greg, thanks for posting all of this wonderful information on growing avocados in southern California! I do have a question that maybe you can help with. I live in a suburb in Mission Viejo CA, halfway between LA and San Diego about 18 miles from the coast. A few months ago I had three eucalyptus trees cut down and the stumps ground out. I would like to plant a couple of avocados where these eucalyptus were. 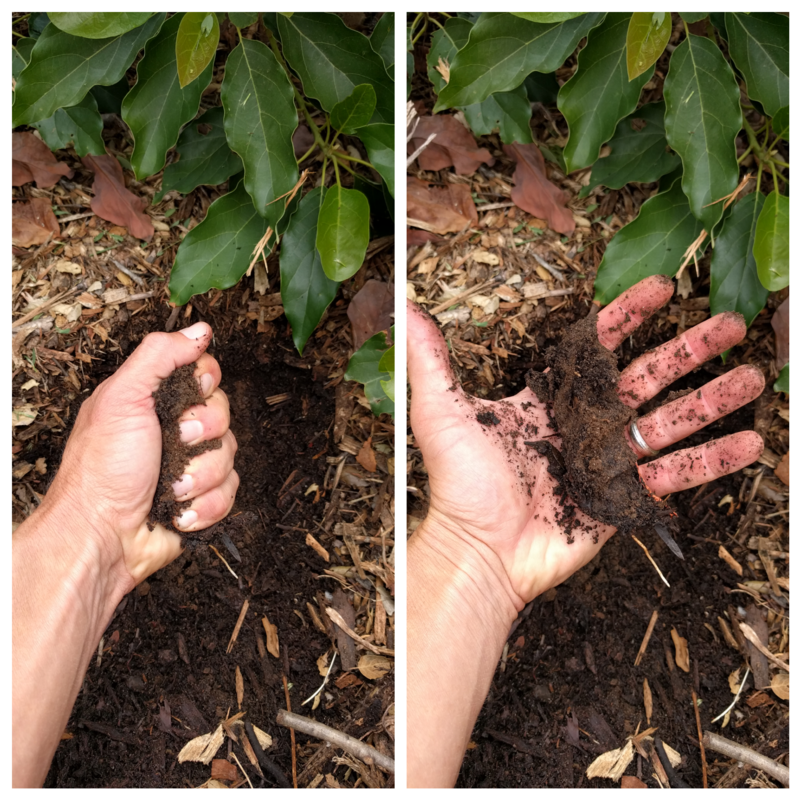 One would be about 2 feet from where the stump of one was, and the other would be about 15 feet further out, Not much grew near these trees and I have read mixed opinions on whether or not the roots and ground would be poisonous to a plant like an avocado. Do you have any experience or insight here? Thanks! There shouldn’t be a problem unless the stump grindings were incorporated into the surrounding soil. In my old yard, I grew avocados near and even somewhat under eucalyptus trees. They did fine, except for the vigorous eucalyptus roots that invaded repeatedly in order to drink from my irrigation. 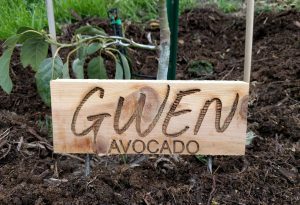 I’ve also used eucalyptus wood chips as mulch under many trees for many years, including avocados. It works great. I don’t know where the myth arose that eucalyptus are somehow poisonous, but I’ve never seen nor heard of any evidence for it. Hope your new avocado trees do great! Great, thanks Greg! There are a lot of Eucalyptus chips, I will dig them up and save them as mulch! A couple of other questions. First, I am planning on planting the “big three” (Hass, Reed Fuerte)! I read somewhere that Fuerte do not do that well near the coast. I am 8 (not 18) miles from the coast, not a direct flat path, lots of hills between Mission Viejo and the ocean, not sure if that is considered close or not. Any experience with that? Do I need to reconsider the Fuerte? Also, a local nursery recommended a Carmen Hass. Any experience with this? It is said to have more than one fruiting season. Fuertes produce where Fuertes produce. It is often said that they produce better away from the beach but I know of Fuerte trees that produce very well within a couple miles of the beach. 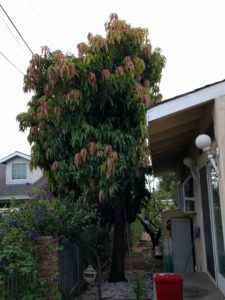 In fact, see the Fuerte tree in my post called “Can you grow an avocado tree in a small yard?” That tree is one mile from the ocean. It fruits extremely well year after year. So I advise that you plant your Fuerte, providing the benefit of cross-pollination with the Hass and Reed trees, and it will probably fruit fine, but you never know because Fuertes are mysterious and no one has ever figured out exactly why some don’t bear well. I have only a little experience with Carmen Hass. 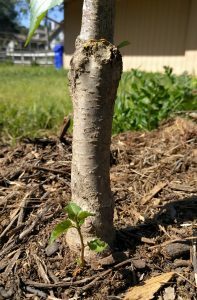 I have a young tree in my yard, and I’ve seen older trees elsewhere. Carmen is almost indistinguishable from Hass in every way except that it has an early bloom, sometimes, in some places, apparently. I’ve been told by people growing them close to the beach here in California that they get this early (“off”) bloom, but I’ve never seen it. As far as I’ve seen, growers farther inland don’t get the early bloom, or it doesn’t end up setting fruit. I don’t know about Mission Viejo’s location though. I wonder what Carmen would act like there. Can I – should I – plant a Hass avocado right next to the stump of a newly fallen pine tree? Gardeners who planted my citrus and apple trees used small logs from our wood pile to form basins when they planted. But you’re saying a Hass should be planted on a mound. Do I need to have someone take out the stump before I plant? Would the acidity harm the Hass? Thank you for your informative posts! 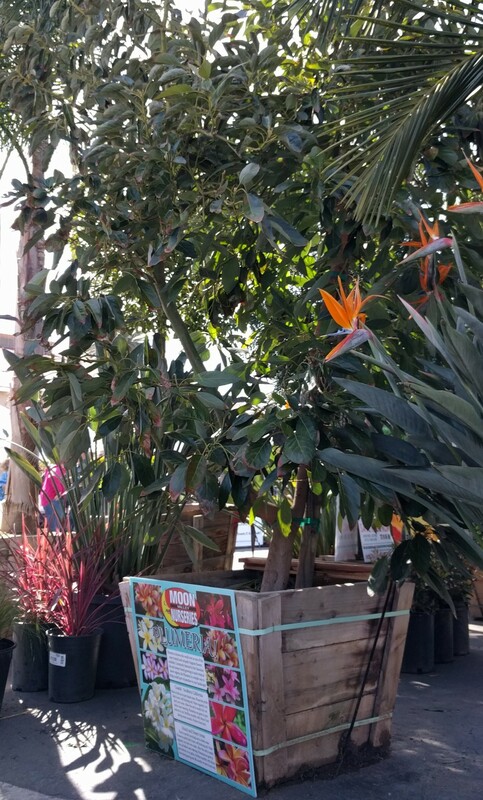 Avocado trees don’t have to be planted on mounds universally. If a soil’s drainage is fast, there’s no need for a mound. But if it takes more than a few hours for water to drain out of a hole in your ground, then it’s a good idea to plant on a mound so the tree has enhanced drainage. I think you could plant an avocado right by that pine stump. I haven’t done this exactly; I’ve planted other things by pine stumps, and I’ve planted avocados by other kinds of tree stumps. But I can’t imagine what the problem would be. Avocados prefer slightly acidic soil, so there’s no problem in terms of pH. I recently bought a Red Valencia Semi Dwarf at our local nursery (grown by Durling Nursery) as opposed to a regular Valencia Semi Dwarf, as it looked like the best tree at the time. Do you know anything about the Red Valencia? I probably should have done some research first! Curling leaves on citrus trees are common but can be caused by various things. I’m working on a post about it, coincidentally. First, just know that it’s probably not a big deal. Second, unfurl the leaves to check if there are any insects hiding in there, or check to see if there are zigzag lines in the leaves. That will give some good clues or eliminate a couple possibilities.